The kit includes replacement vinyl, colored repair compounds, and even grain papers so you can get a near perfect match to your existing leather or vinyl. 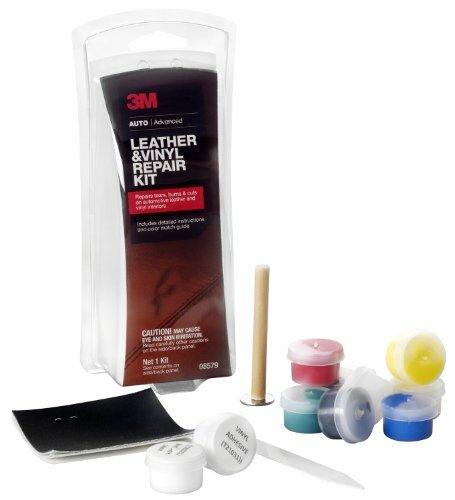 The 3M Leather & Vinyl Repair Kit can save you the cost of getting auto seats or furniture reupholstered. This kit is an easy and inexpensive way to save your vinyl and leather upholstery. The kit is designed to make repairs barely perceptible with a variety of colors and grain papers included to match the surrounding material. Most small repairs will almost disappear. 3M thought of everything when designing this kit. A piece of practice vinyl is included so you can learn how to use the kit before making the actual repair. Don’t let small tears, burns, and cuts ruin your upholstery. 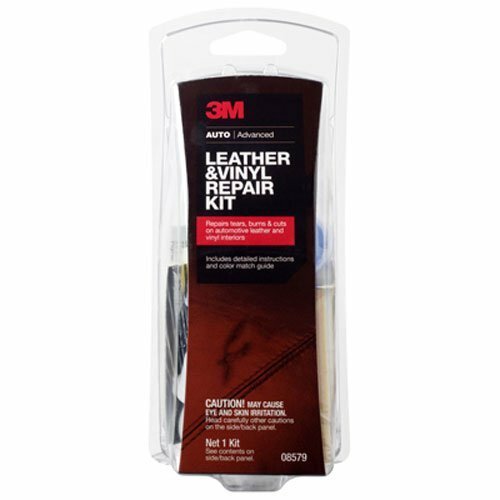 Use the 3M Leather & Vinyl Repair Kit to repair the damage and restore the beauty to vinyl and leather upholstery. 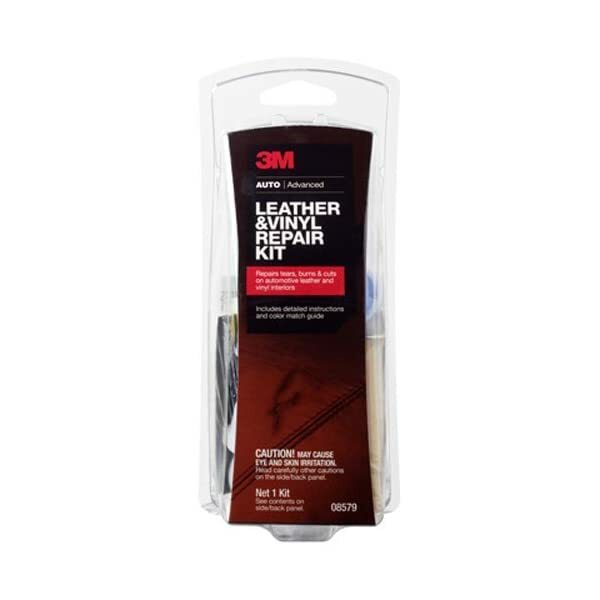 The 3M Leather & Vinyl Repair Kit works in seven steps: Note: These directions are abbreviated. Complete directions are included with the kit. 1. Clean area. 2. Apply backing fabric to repairs greater than 1/4 inch. 3. Apply the grain paper that most closely matches your existing leather or vinyl. 4. Fill damage with the vinyl adhesive using the spatula if damage is more than 1/8 inch deep. 5. Match color using the color match guide. Mix the correct color from the seven colored repair compounds. 6. Apply color using the spatula to the repair. 7. Heat cure the repair with the heat transfer tool.